Home » Spaniels » Springer Spaniel » Are Springer Spaniels Aggressive? 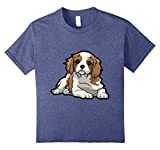 The English Springer Spaniel is a friendly, happy breed of dog which makes an excellent family pet. Most English Springer Spaniels behave well and do not show any aggression, but there are exceptions to every rule and some unfortunately do. There is a condition known as “springer rage syndrome” which is prevalent in the breed where the dog is used for show rather than as a working dog. Although “rage syndrome” is not a proper medical term, it is a colloquialism used by owners of the breed worldwide. This “syndrome” occurs when the English Springer Spaniel displays aggressive behaviour seemingly out of nowhere. It is not known how this happens or what causes it, but many of the dogs which display this behaviour are ones which do not get to satisfy their natural hunting instincts (i.e. show dogs). One major cause for aggression displayed in an English Springer Spaniel could be from dominance or a lack of it. This is usually caused by the behaviour of the owner, an owner who has not asserted his or her dominance and allowed the dog to take charge. If your English Springer Spaniel is displaying dominance aggression, then you may need to seek out the help of an animal behaviourist – our vet will be able to point you in the right direction to one of these. Dominance aggression can also result from there being a permissive owner and an assertive dog, two personalities which don’t match well together. Some English Springer Spaniels are simply genetically assertive and typically display their aggression regularly from a younger age. This type of aggression is much more difficult to treat, as it is hard-wired into the genetics of the dog him or herself. Professionals are still unaware as to what causes this type of genetic aggression, and genetic aggression in springers can be very testing. Although “rage syndrome” can be found in any dog breed, it is more common in English Springer Spaniels; it is simply the presentation of aggression and it does not help us figure out what the underlying cause is. Dog aggression is not an easy problem to solve for obvious reasons – we cannot properly communicate with our dogs in a way they can understand. That being said, however, it can be treated. With the right treatment methods, an understanding of your dog’s history (i.e. intensity and duration of the aggression) and a commitment to solving the problem, you can take many steps in ousting this behaviour permanently. Behaviour modification techniques are by far the most popular means of treating canine aggression, but they can cause long-term problems if it is not carried out professionally and that is why we always recommend seeking the help of a professional dog behaviourist. There are plenty of resources available on the internet which can help you treat your dog’s aggression and set the wheels in motion for a long-term solution. 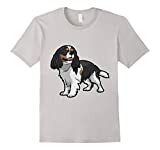 Although the English Springer Spaniel is quite a docile breed of dog, it can still and does display aggressive characteristics from time to time.